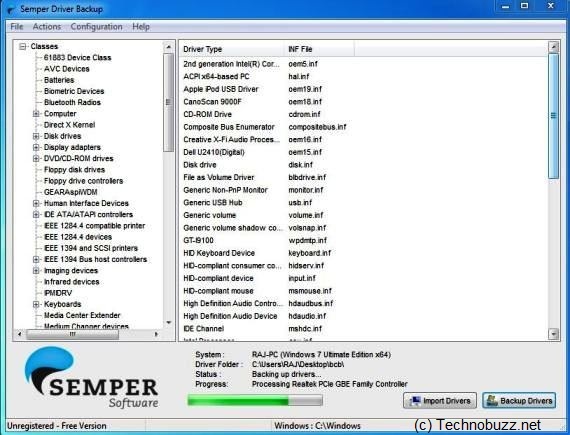 Semper Driver Backup utility is a freeware app, which allows you to take Backup and Import Windows Drivers easily, so in future you never have to search down hardware drivers again. The app is simple to use and compatible to all windows PC. You can easily install in your co and set a folder where the backup will be saved. Semper Driver Backup finds every single driver on your PC and copies it to a folder that you set for the backup. And yes you can also import your drivers anytime from the backup file by clicking on the Import Drivers button. Semper Driver Backup also creates a backup log which serves two purposes, firstly to document activities and secondly to provide an import script for later use.